The candidates for Harrow East clashed over race relations and the expenses scandal at The HA1’s pre-election debate last night. Outgoing Labour MP Tony McNulty, Conservative candidate Bob Blackman, Liberal Democrat candidate Nahid Boethe and UKIP candidate Abhijit Pandya were at The University of Westminster to discuss questions raised by voters and students. The first question asked referred to the quality of race relations in local communities, with Black and Minority Ethnic groups now making up 55 per cent of Harrow’s population. UKIP member Mr Pandya, who is of Indian origin, caused controversy and was laughed at by the audience when he talked of creating “one Britishness” by encouraging the various ethnic communities to attend gatherings promoting British culture. 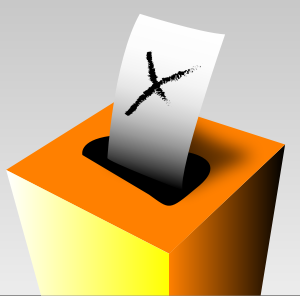 The other three candidates disagreed and were united in claiming that Harrow East’s ethnic communities were functioning well living side by side and bringing their own different cultures to the community. Mr McNulty directly attacked Mr Pandya saying: “You haven’t got a clue what you are talking about. Conservative candidate Mr Blackman said: “There is great tolerance here of different races and religions. Mrs Boethe added: “We are all the same, we are all living together”. The debate soon moved on to the expenses scandal. Mr McNulty said that he had taken advice from the fees office on his expenses 10 years ago and that the advice turned out to be wrong. He has since apologised both to his constituents and to Parliament and paid back the amount. Mr Pandya said he would push for criminal sanctions for MPs who abuse the system whilst Mrs Boethe promised transparency from the Liberal Democrats. 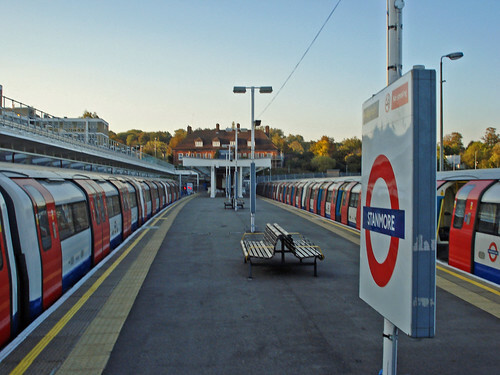 Other issues discussed included problems caused by the closure of the Jubilee and Metropolitan lines at weekends and the failure to get proper disabled access at Stanmore and Harrow on the Hill stations. Mr McNulty blamed London Mayor Boris Johnson and Mr Blackman blamed former London Mayor Ken Livingstone. Mrs Boethe said both parties were guilty of failing to get things done. The Labour and Conservative candidates clashed again over the future of Northwick Park Hospital. Mr McNulty told Mr Blackman to “stop lying” over fears the Accident and Emergency department there could be closed. “There is no threat to the A&E department at Northwick Park Hospital,” he said. The discussion finished on particularly sensitive issues when a member of the audience asked the candidates what they intended to do about the proposed job cuts at the University of Westminster. Madeleine Atkins is also standing for election in Harrow East as a representative of the Green Party, but did not take up the opportunity to attend last night’s debate. The election is turning ever nastier in Harrow East. The Evening Standard’s Ross Lydall reports the battle of words taking place between the Labour and Tory candidates for the constituency. Lydall describes Labour’s Tony McNulty as an ‘attack dog’ and notes Tory Bob Blackman is a ‘colourful figure who seems to have more enemies […] than the average politician yet to make it to the national stage’. Following these pleasantries, Lydall gives both a chance to explain themselves (Nahid Boethe, the Lib Dem’s candidate, is curiously absent). Blackman tells Lydall: “You don’t do the sort of things I have done in Brent without breaking a few eggs,” then goes on to draw attention to McNulty’s expenses record. McNulty hits back, indignantly claiming he didn’t fiddle his expenses. Lydall says this is only a taste of what is to come, so we can look forward to more friendly banter next week. For a taste of what Harrow people think of both McNulty and Blackman, scroll down to the comment section on Lydall’s post. One Tim Vines writes: “How was he selected for this marginal seat when he had a leaky & smelly baggage”. Go on guys, get it out of your system.